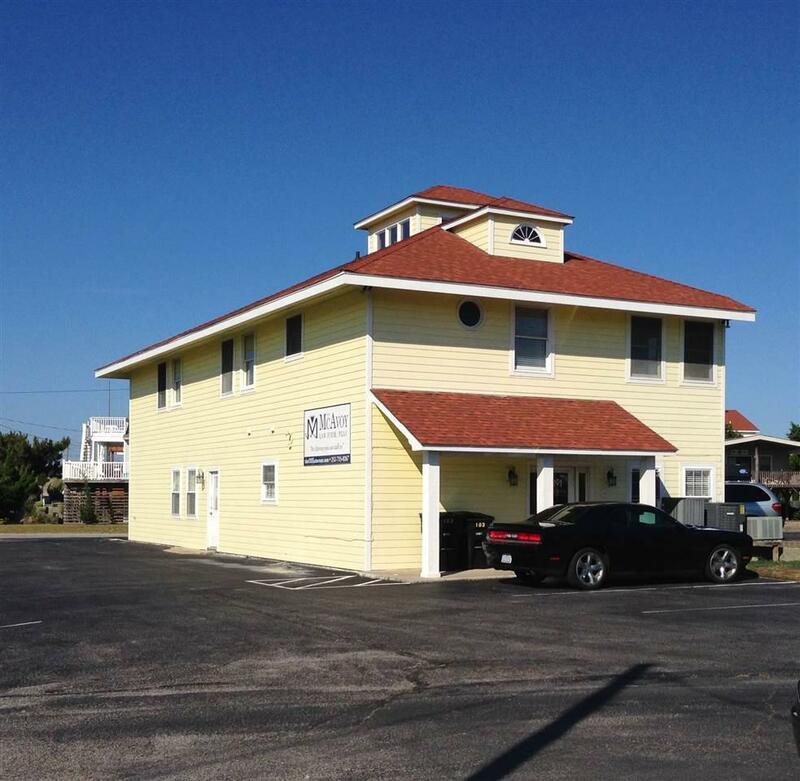 Commercial investment opportunity located in the heart of Kill Devil Hills. Great highway visibility located just off the bypass near the Outer Banks Inn, Outer Banks Presbyterian Church and 17th Street Surf Shop. Corner lot allows easy ingress & egress, ample parking, and easy access to both the Beach Road and Croatan Highway. This income producing property is currently 100% leased.